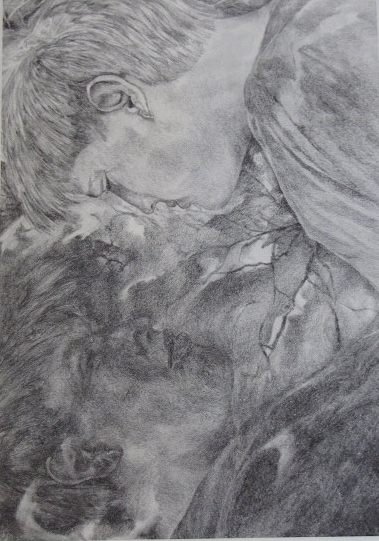 This drawing was part of a series on the subject of reflection. The drawing could also take on the meaning of light versus dark, positive versus negative, and the notion that each of us reflects on oneself. The surface could be based upon anything; water, reflectivity, or tranquility. You are currently reading Hans’ Reflection at Dr. Mary McNaughton and Drawing.